Despite being engulfed in several scandals of late—especially the widely-publicized Cambridge Analytica scandal that resulted in its founder having to testify before Congress—Facebook reported its second-largest quarter ever in terms of revenue generated in the first quarter of 2018, and the majority of this revenue is attributable to advertising. Twitter also reported its strongest quarter ever in the fourth quarter of 2017, posting its first-ever quarterly profit and defying analysts’ expectations. According to Twitter management, “stronger advertiser demand” played a major role in its revenue growth. As evidenced by the growth reported by Facebook and Twitter against all odds, ad revenue and ad demand are on the rise, particularly on the social landscape. However, something else is rising with it: ad fraud. According to a recent comScore study, 50 percent of all internal ads never reach the public and are lost to botnets and click fraud. Another study by Juniper Research estimates that $19 billion in ad revenue will be lost this year due to fraudulent activity. 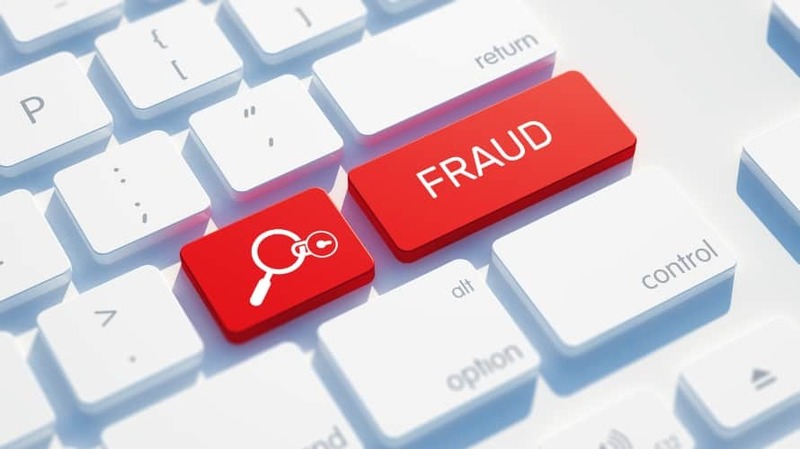 Ad fraud, both in the social and traditional advertising landscape, is on the rise, and it will only keep rising (the Juniper study estimates that $44 billion will be lost to ad fraud by 2022). Other advertising challenges such as a lack of transparency, brand safety violations, dubious middlemen and consumer mistrust have resulted in the $223 billion advertising industry being labeled as one of the most inefficient industries in the world. Leverage big data to sniff out bots and bad players: A growing and effective way to combat ad fraud is by making use of big data to sniff out the bad players. When internal and external data streams are integrated and analyzed, key user metrics (such as traffic, bounce rate and time on site) can be proactively reviewed to identify bots and sources of bad traffic. Highly underperforming campaigns—usually a sign of fraud taking place—can also be identified and filtered out. Use ads.txt to declare authorized sellers: The ads.txt project aims to combat ad fraud by increasing transparency in the advertising ecosystem. The “ads” in ads.txt stands for “authorized digital sellers,” and it’s a way for publishers and distributors to publicly declare companies they authorize to sell their digital inventory. Implementing ads.txt makes it hard for bad actors to sell counterfeit ad inventory, significantly reducing ad fraud. While the ads.txt project was only launched by the IAB in 2017, adoption is gradually increasing: 82 percent of publishers in the U.S. and 70 percent globally have implemented it. More adoption will make the ad ecosystem safer for both publishers and advertisers. Artificial intelligence and machine learning: While Facebook has a team of more than 1,000 people fighting ad fraud, it is increasing its efforts in using AI. Facebook’s neural networks have been trained to detect elements of ad fraud and prevent them from using the Facebook platform. Other major ad platforms like Google are using AI to combat ad fraud, and as machines get smarter at spotting patterns, we can expect a reduction in ad fraud and manipulations. Use blockchain to ensure stricter validation and monitoring: Chinese president Xi Jinping recently made news for referring to blockchain as a breakthrough technology, yet adoption of blockchain by ad companies could be stronger. Blockchain’s inalterability and the decentralized validation it offers makes it practically impossible for any single party or hacker to manipulate records. Blockchain platforms like Papyrus combine a number of features like decentralized monitoring, smart contract automatically enforced money-flow-management rules and verification by independent verification service suppliers to ensure that fraudulent traffic doesn’t get recorded and paid for, and they are capable of processing billions of advertising events as raw data. Don’t ignore the human element: As we get more reliant on computers—AI, blockchain, big data, etc.—it is easy to assume that human effort should be relegated. That would be a mistake. The problem posed by ad fraud will only be fully resolved when humans and computers work together. Properly vetting partners and educating them on ad fraud, as well as ensuring human verification, will go a long way to combat ad fraud. Demanding transparency from ad partners, ensuring that policies and processes are set up to address ad fraud, using third-parties to verify data provided by ad platforms and manually reviewing key performance indicators are all human elements that cannot be replaced by machine effort.